Ubisoft seem pretty set on a two-year turnaround for Assassin’s Creed going forward. 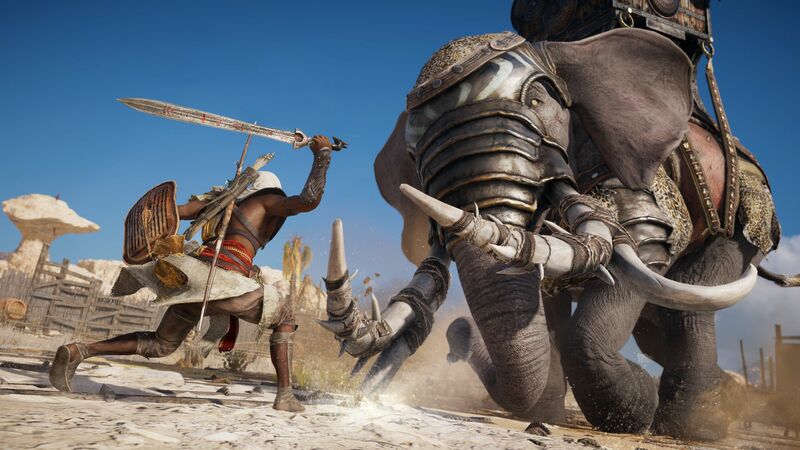 The company’s CEO said that development would continue to focus on Assassin’s Creed Origins during 2018, making it unlikely we’ll get a new game this year. You’re stuck with it for a while yet, so here’s our Assassin’s Creed Origins review. That’s clearly been upheld; in an earnings call yesterday, Guillemot said that Ubisoft would be focusing on ongoing support for Origins, and that the team would be launching a few more DLCs during the year. While not explicitly stating that there would be no new game this year, the focus on their most recent game is a pretty clear indication that we won’t be seeing any new assassins this year. The Assassin’s Creed Origins DLCs will include the Discovery Tour, which comes out next week, and The Curse of the Pharaohs, which releases on March 6. Ubisoft recently announced that they would be pushing development on Far Cry 5,The Crew 2, and another, unannounced project back. The latter is scheduled for release in the 2019/20 financial year, so could very easily be the next Assassin’s Creed game – which might have a Viking setting.